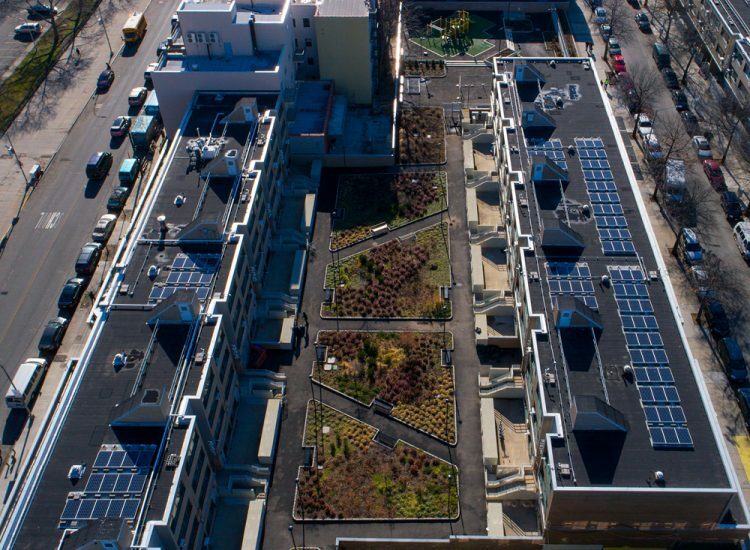 Brooklyn, NY | Marcus Garvey Apartments (MGA) is a 625-unit, electrically-heated affordable housing complex owned by L+M Development Partners, one of New York City’s leading affordable housing developers. 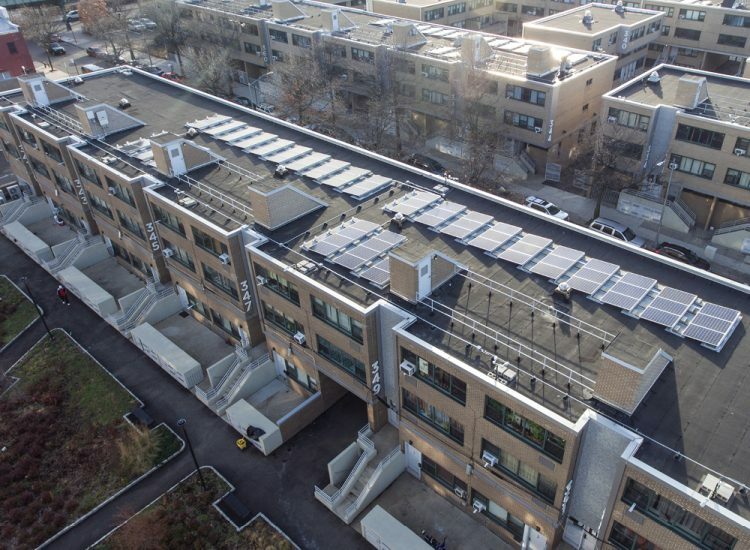 All 32 buildings are master-metered on the same electric account, which made the development an ideal candidate for conversion to a microgrid. Bright Power worked with L+M Development Partners to design and build a large-scale 479 kW solar PV array on 22 of the 32 buildings in the complex, which combined with a 300 kW / 1200 kWh energy storage system (ESS) and 400 kW fuel cell has transformed MGA into one of the first resilient microgrid projects in NYC. 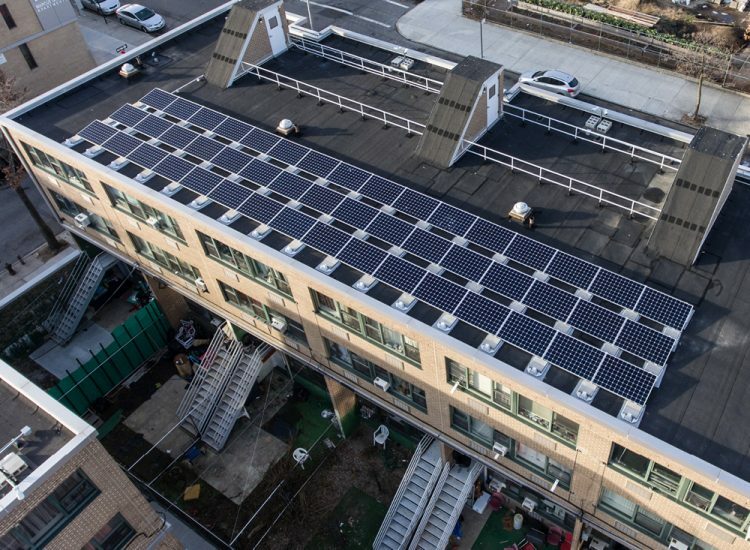 We also obtained over $400,000 in NYSERDA incentives for both the solar PV and battery storage systems. With these changes, residents will never be without power in the face of another superstorm, or for any other reason. And this project proves that solar PV and battery storage systems (and even fuel cells) of this scale can and should be deployed at affordable housing properties.